Categories such as Tuition, Trips or Cancellation fees can be created here. 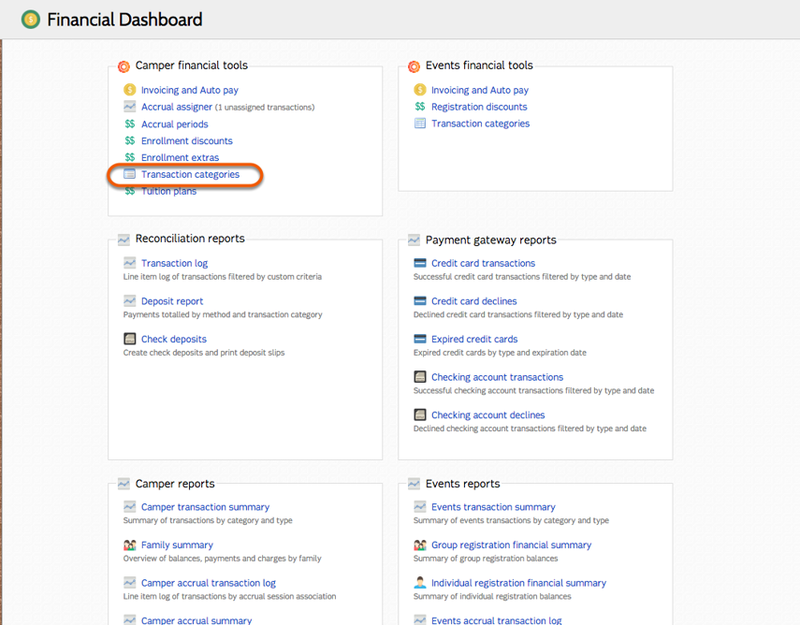 Select Transaction categories from the Financial Dashboard. 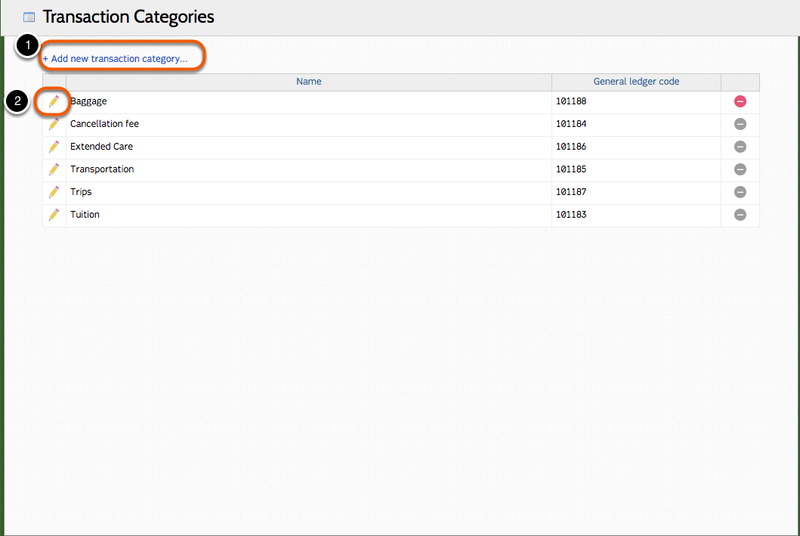 The pencil modal allows you to edit the categories once you have created them. 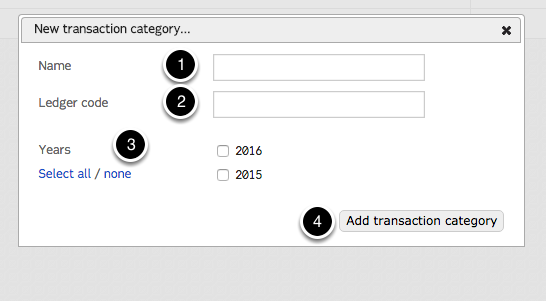 Click "Add new transaction categories..."
Add the name of the transaction category. Add a general ledger code for your records. Mark which year you want this to apply to.